The Help Somebody Hall of Fame celebrates and recognizes good people doing good work in RVA. We encourage our readers to nominate nonprofit staff, volunteers, board members and community members who are making a positive difference. This month, we are recognizing an avid volunteer and board member at The McShin Foundation – Marta Lefleor. The McShin Foundation is a recovery resource foundation whose mission is to deliver a message of hope to individuals with a Substance Use Disorder and to facilitate their journey to a healthier life. Marta and McShin alum Michael Quinn at the Houses for Hope fundraiser, a capital campaign started by Marta. 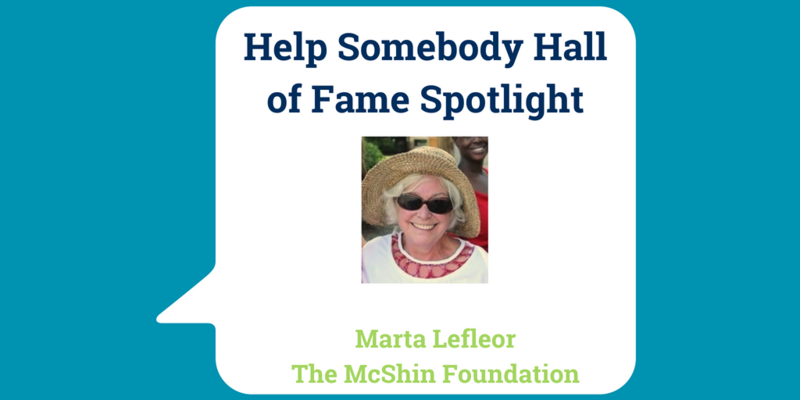 How does Marta demonstrate the spirit of the “Help Somebody Hall of Fame”? Marta Lefleor is selfless, caring, tenacious, giving, and a fearless advocate for people with Substance Use Disorders. After losing her daughter, Brenna, to an overdose, Marta got involved with The McShin Foundation. Not only does she serve on our Board of Directors, but she spearheads our Philanthropy Committee, started our first capital campaign, advocates to our congressmen, volunteers at nearly every event and takes time out of her schedule each week to spend quality time with our participants. Her tremendous outpouring of love spills out into our community. She has touched the lives of countless program participants who are just starting their recovery journey. Her patience and understanding allows them to open up and feel comforted. She shares her passions and interests with them, like crocheting, and teaches them new skills with each visit. She also shares stories of Brenna, her daughter. Because the loss of her daughter is what led Marta to McShin, Marta allows Brenna’s spirit to drive her involvement. 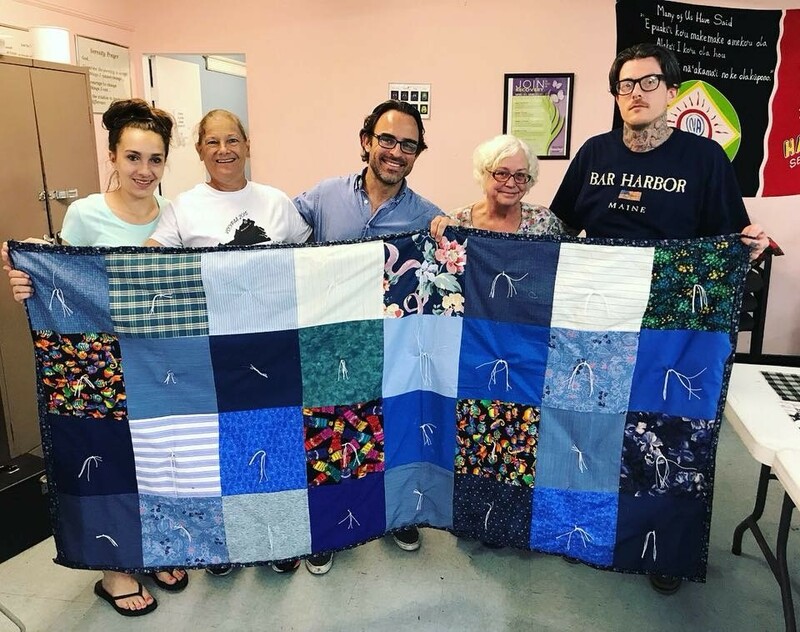 Marta and some of McShin’s program participants with the finished product from their quilting lesson. Although working so closely with people with Substance Use Disorders can be challenging at times, Marta continues to push forward and refuses to see anything but hope and positivity in each life she comes across. She doesn’t let her own problems affect how she interacts and gives back. This attitude is contagious, and Marta’s presence puts a smile on the faces of our participants and staff each time she enters the recovery center. Marta has used the pain of her grief and loss of her daughter to provide hope and support for every single person she touches. This gift is irreplaceable, and truly saves lives. What is the impact of Marta’s generosity? 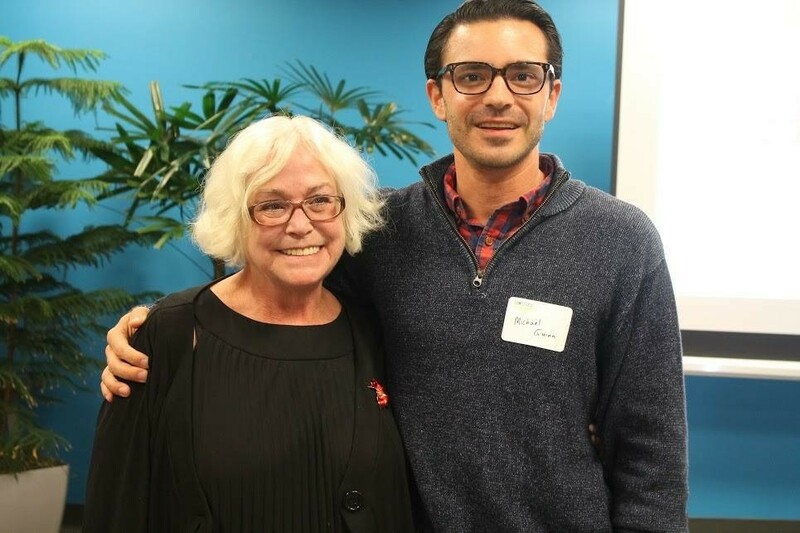 Marta’s generous giving of her time and energy has not only made a difference in the lives of participants at an individual level, but her dedication has allowed us to expand our organization. Through the capital campaign she started, Houses for Hope, and the scholarship fund started in Brenna’s name, Marta has allowed McShin to provide financial assistance and safe, comfortable environments for people to begin their recovery journeys. Marta truly makes a difference in the lives of others every day and the legacy of her love for this community and her love for her daughter will be her legacy. 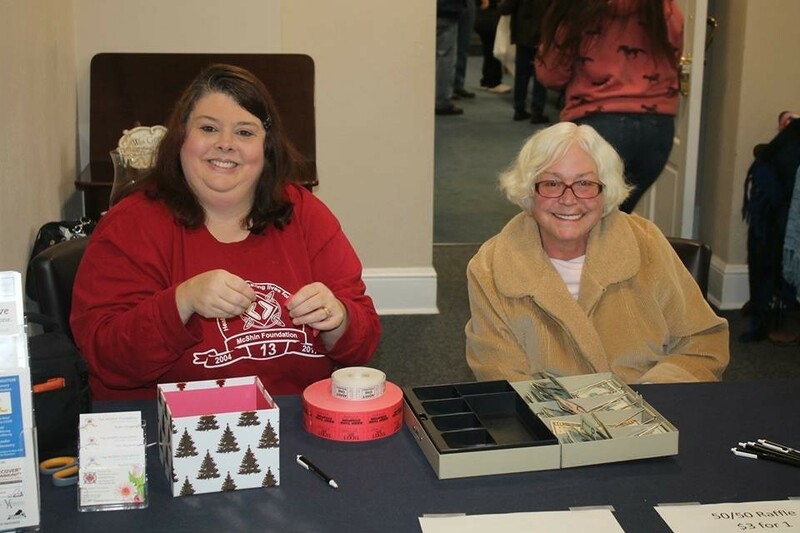 Cynthia May and Marta volunteering at McShin’s Annual Bluegrass Festival and Brunswick Stew. After leading one of her fist crocheting groups one Friday afternoon, Marta shared the following message: “I am so very blessed to have McShin. You all saved my life, truly. I had no willingness to continue living after Brenna died. She led me to McShin and is making a difference.” However, we see ourselves being blessed by Marta’s belonging to the McShin community rather than the other way around. She is a light of selflessness and growth when we need it the most and we are so grateful for everything she does for us. 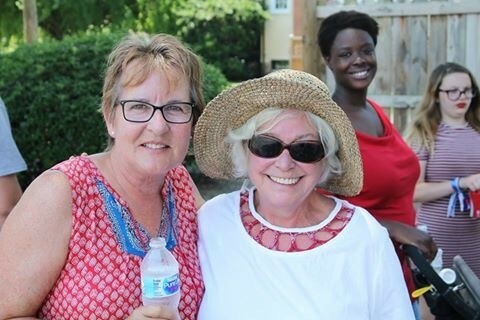 Debbie Rosenbaum and Marta Lefleor at McShin’s 4th of July cookout. The Help Somebody Hall of Fame is a platform to express gratitude for a person in the community who acts selflessly to improve the lives of others. We want to share these stories in hope of inspiring more people in Greater Richmond to act with generosity. There will be random drawing from those who are honored, and two honorees will select a nonprofit of their choice to receive $1000. Read more about how to nominate someone here. This makes my heart HUGE! Marta is the sweetest person ever. How she gives her time and energy to us with Substance Use Disorders is AMAZING!!! Marta is the best! McShin is truly blessed to have her. She gives tirelessly of her time and everyone at McShin is blessed to know her. Congratulations Marta! Marta is great! We love her group on Fridays at the McShin Foundation.